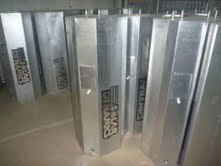 The Solar Dynamics Hot Water System is the first system in the world to carry a temperature guarantee. The Perlack report prepared for USAID identified that “specified temperature” was among the most significant features in building the solar water heater market in Barbados. The guarantee provides recourse to the consumer in case of product performance failure. This is a world first for consumers and is reflective of the quality which Solar Dynamics builds into its product, and the extent to which the company is prepared to go to ensure service delivery. The Solar Dynamics product will be sized to meet the needs of the consumer. The Solar Dynamics Hot Water System was independently tested by the Florida Solar Energy Center. Barbados enjoys international recognition as a leader in the development and use of solar technology for solar hot water systems, and is among the top five leading nations in the world in the penetration of solar hot water systems per 1000 households. (The Energy Institute). The United States Agency for International Development conducted research on the solar water heating industry in Barbados in 2003. Its report, the Perlack Report, can be found at http://www.ornl.gov/~webworks/cppr/y2001/pres/119025.pdf or downloaded here. Its published results affirm the leadership role which Solar Dynamics has played in developing the industry. * London Bourne Towers in Bridgetown. Manufacturing facilities are located in Barbados and St. Lucia, and a distribution network is in place in Belize, Dominica, Grenada, Guyana, Montserrat, St. Lucia, St.Kitts, Nevis, Anguilla, St. Maarten, St. Vincent & the Grenadines, The Bahamas and Tortola. Solar Dynamics Ltd has the most experienced and competent team involved in the design, manufacturing, system sizing, installation and service delivery of solar hot water systems. The team is led by James Husbands GCM, who was awarded the “Gold Crown of Merit” in Barbados’ Independence Honors of 1994, for his contribution to energy saving. James was adjudged the Anthony B Sabga Caribbean Award of Excellence winner for Science and Technology in 2008. He is the recipient of a “Pioneer Award” from The World Renewable Energy Congress, at its congress in Scotland in 2008. James Husbands, together with fellow industry developer Ivan Franklin, are both products of the Princess Margaret Secondary School. Ivan went on to study welding at The Technical Institute, the forerunner to the Samuel Jackman Prescod Polytechnic. James continued his studies at the Christ Church High School. They teamed up one year after the establishment of Solar Dynamics. 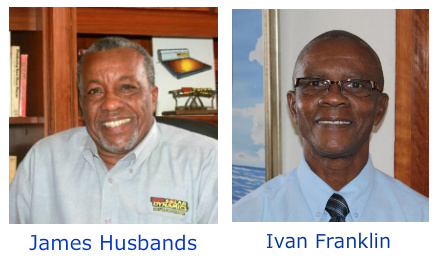 These two, together with many others who have benefited from their vision for the development of the industry, have made an indelible contribution to the quality of life which so many more persons enjoy with the comfort of Solar Dynamics hot water. The industry’s contribution has been described by the Barbados Investment and Development Corporation “as the most significant industry of the last 50 years” in Barbados. Since 1974, Solar Dynamics has been at the forefront of development of solar hot water systems for residential and commercial use. Our company was the brainchild of Canon Andrew Hatch, who revived The Brace Research Institute’s Professor Tom Lawand solar water heater project. We are the recipient of loan funding from Christian Action for Development in the Caribbean, a division of The Caribbean Conference of Churches. Solar Dynamics is responsible for the comfort, convenience, safety and savings which the majority of solar hot water users across the Caribbean enjoy. Download the document The History of the Solar Water Heating Industry in Barbados which contains more information on the history of Solar Dynamics Ltd.